Yes, I am a recovering human being. Why do I say this? Simple, I was born into this world as a human being. Beyond that semantically driven statement lays the fact that all of us are merely mammals. When I was a child, the church instilled fear and hatred in me. The world was a dark and terrible place! Jesus would be returning at any moment. The Devil and his minions lurked around every corner. “Mother, I thought the earth was young?” I would observe as the history channel explained that many people disagreed. “Do not ever question the Lord young man!” This was typical in my home and the church. One day I realized something. My faith was sinful, vile, and dirty. My faith was nothing more than a reflection in the mirror. Legalistic Christian had a negative and damning view of god. The liberal Christians took a salad bar approach, and made scripture fit any situation. “What that about the speed of light from distant stars you ask?” Well son, Jesus caused the light to travel faster. I was kept in an abysmal state of ignorance. I am a human being. I will say it again. I am a human being!! I am so happy to be free. I than began preaching this nonsense to all my friends, who I thought would be tortured endlessly. As I grew older something did not feel right. What was I doing to myself and the others around me!? Then a thought crept into my mind and shocked me. I learned how to talk by placing sounds to mental pictures! Does the term Christianity even mean anything? Are the sounds and vocalizations of the pastor’s valuable in any sense? I began to think and evaluate my delusion. As chance would have it, my friend lent me a copy of Quest for Fire. I was shocked. Early man did not have complex marriage ceremonies or ideas about gods. They were not worried about cutting the throats of animals and dripping blood into a fire so god could smell the delicious odor. Our earliest prehistoric ancestors had one motivation and driving force -- survival. What struck me were the differences in what I had been taught. Far from being led by god, early man eked out a miserable and difficult existence. On the one hand, it was brutal to watch. Sticks, stones, and biting were weapons. But then it hit me. Is it more likely that we survived on our own? Did we evolve over time along with nature, the environment and learning? Or did god magically create us? I than thought of my emotions. It made sense that anger, jealousy, and violence would help early man survive. I realized that these skills are why I am alive and typing. I kept these blasphemous ideas in my head for a couple of years. What a strange feeling to contemplate, that the god of the bible was a reflection of the hate, anger, and jealousy of those who wrote it. Eventually, I decided that I would research human origins until I found the answers I was never told. Eventually, I came to realize that I am no different than the grass. I am part of nature, and that is it. Now, labels seemed ridiculous and immature. You see Christianity was the most convenient system of control ever devised in history. No matter how vile god acts, he is always right. No matter what science and research show, the Bible trumps it. If you dare question the Lord, than he has a place for you to go. This place is filled with more pain and suffering than Jesus could have ever suffered from that silly so-called sacrifice. So here it is my friends -- this needs to be done. I am a recovering human being that has dropped the labels we have been accustomed to. I am not an atheist or agnostic or non-theist. I am a human being, living a happy and productive life. When people ask me “What are you,” I simply smile and say that I am a human being. Religion has taken the beauty out of our humanness, nakedness, expression, sexuality, and turned it into a vile neurosis. Like all drug addicts and alcoholics, part of the process is admitting your mistakes. Here is my confession to all of you reading this. I am terribly sorry to all the gay and lesbian people who I so cruelly dismissed as sick and evil. It pains me to think that I actually was taught to look forward to these people going to hell. I want to apologize to all the people from my previous deluded state who I rejected as friends because they were not sharing my delusion. To all the people I routinely judged, please forgive my ignorance. You see, the biggest lie of Christianity, is that it promotes love. Let’s think of the language used: Sinner, wicked, vile, abomination, hell, suffering, pain, pestilence, war, annihilate, utterly destroy, vomit you out of my mouth, weeping, grinding, and gnashing of teeth. I am so stunned and ashamed, that I actually viewed fellow human beings in this manner. And what a cop-out my attitude was!! When I sinned, I was a fallible man in need of forgiveness. When non-believing humans supposedly sinned, they needed Jesus badly. They were lost. It is no wonder that unrestrained Christians in the Middle Ages inflicted so much pain and misery. I shudder to think what would happen if Christians had free range to rule this country. The tinder and poles would be erected and witch-burnings would continue. Yet, I had the audacity to judge and pretend that this so-called incomprehensible yet somehow knowable personal god was on my side, listened to my prayers, and would squash the wicked while I sat in heaven and watched. When the full weight of this crashed down on me, I hung my head in shame! I am a human being. I will say it again. I am a human being!! I am so happy to be free. To all of you reading this: Screw labels! Let’s enjoy the time we are here, and make this planet a better place! 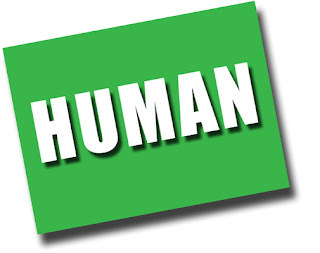 ExChristian.Net: No more lables except "human being"